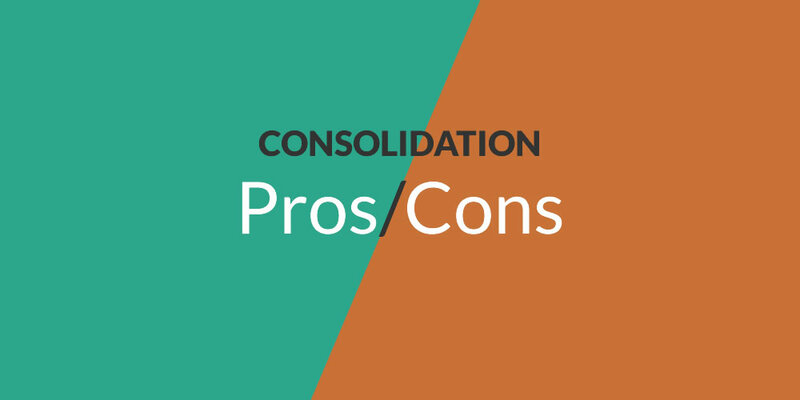 The marketing ups and downs of consolidation: my top 3 “cons”. Consolidation is on everyone’s minds these days. As well it should be. Having two big players going head-to-head is one thing, but the fact we just seem to be starting this journey is another. We’re in this trend for the next 3-5 years at least and probably many, many more. Speaking of which, I’m gathering your perspectives on consolidation, skiing, marketing, and more in a quick 5-question survey. I’ll leave that open through the weekend and report the results next week. Yesterday I talked about the potential upsides, today is the opposite. This is, by far, my biggest concern. That being, Vail Resorts has shown very little interest in growing the sport of skiing. That’s not to say there hasn’t been any, there certainly has, but not in proportion to the percentage of annual skier visits they own. Alterra is young, but they’ve got a laundry list of other things to worry about first (like selling a boat load of Ikon passes). If this trend doesn’t change and they keep growing their share of this sport’s annual skier visits without stepping up to the plate and apply the same innovative thinking, resources, and strategy to growth that they do to pass sales and the guest experience, we’re in big trouble. Virtually all of the innovation in growth and conversion and the beginner experience is coming from the resorts with comparatively meager resources. Bottom line, unless Vail Resorts, et al., don’t start making the growth of skiing a priority, the fact that they own more and more of the pie could put skiing in a bad place. After that, the biggest downside to me is making season pass sales an even taller mountain to climb for smaller ski areas. The reason why, of course, is that Ikon and Epic passes are selling for identical to what a season pass at a small- to mid-sized ski area did just a few years ago. If you’re a smaller resort that sells passes for $500 and now your market can buy a “locals” pass for $500 that’s good at a half-dozen resorts, not only will you be forced to adjust your price but you’re gonna sell fewer passes. In other words, the wave that’s carrying Vail Resorts (the value of season pass sales) could significantly hurt the revenue of smaller resorts in their markets. So not only will solo resorts make less on season pass sales each year, but because a huge chunk of their market will now have lots of choices in resorts on their new pass, they won’t have as much motivation for visiting off-pass resorts. Like the solo resort they used to have a pass at. Which means day ticket sales could drop as well. Let’s fast forward a few years and say that 50% of skier visits are controlled by two ownership groups. At the top of each is a SVP of Marketing who has their view on the skiing message, their angle on what matters, their favorite tune to play for their customers. In that scenario, the perception of skiing is controlled by a very, very small group of people. Yes, that could be good. It could also be very, very bad. For example. I’ve said it before and I’ll say it again; skiing is NOT expensive. Luxury skiing is expensive. The rates at smaller ski areas have not inflated like those of luxury resorts. But the perception of skiing being expensive is growing because the marketing voices of luxury resorts (the ones who are raising their rates) are the loudest. That’s a result, in large part, of Vail’s strategy. Which means that if we get another big player saying the same thing…eeesh…people may stop skiing at smaller areas not because they cease to exist, but because their marketing voices (specifically around price) are completely drowned out by the consolidated shouts of the big players. If I had to put myself into one camp or the other, I’m admittedly a bit concerned about where things are going. That’s not to say Vail Resorts couldn’t blow our minds with a game-changing innovation to grow skiing but as is…yeah…the glass is half-empty. Now that you’ve heard my thoughts, I’d love to hear yours. Head over to the survey, share what’s in your brain, and I’ll be back next week with the results.